When I got my new phone, I really enjoyed the way it looked. I knew I needed a case but I hated most cases they were either too boring or too childish for a woman. ….So what should a woman do??? Well if she is crafty enough she makes her own!! I enjoy taking an item (anything) and turning it into something beautiful. 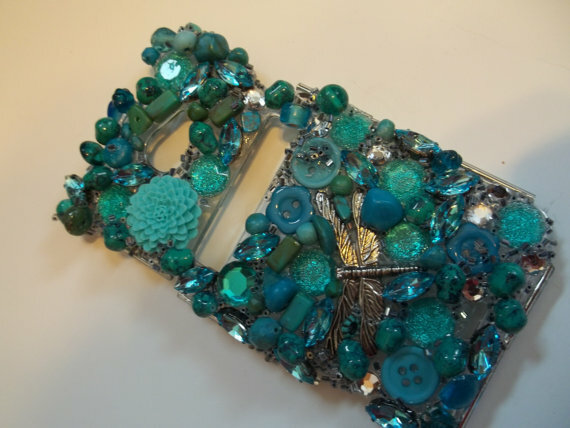 A ball of yarn into a scarf or sweater, fabric into a dress or purse, food products into a beautiful and healthy meal, and now a plain plastic phone case into a “Blinged” phone case!! I really enjoyed this process. First I decided on a white color scheme. I had this amazing white pearl butterfly pendant to use as my focal point. 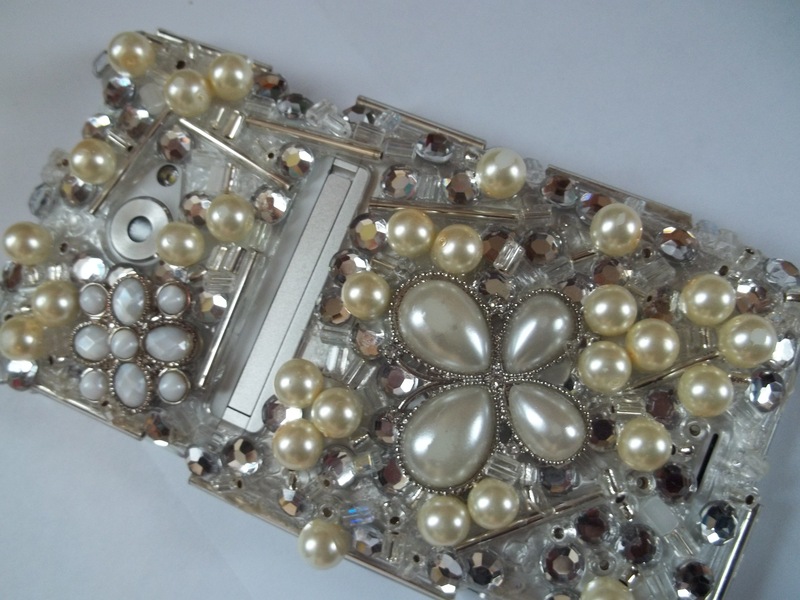 Then I had to find the right elements to compliment it, rhinestone, pearls, beads, and of course glue. At first there was a steep learning curve trying to find the best glue. I did finally find some great glue, but I am still making a mess of my hands. (I still need to find a better delivery system) Since each and every element is put on one at a time with tweezers you would think it wouldn’t be so messy but it still is. I love my phone case!! This one is a gift for my future daughter-in-law! These are great fun to make. So if you have the time(it takes about 3 to 4 hours to make one), and the elements at hand, give it a try. 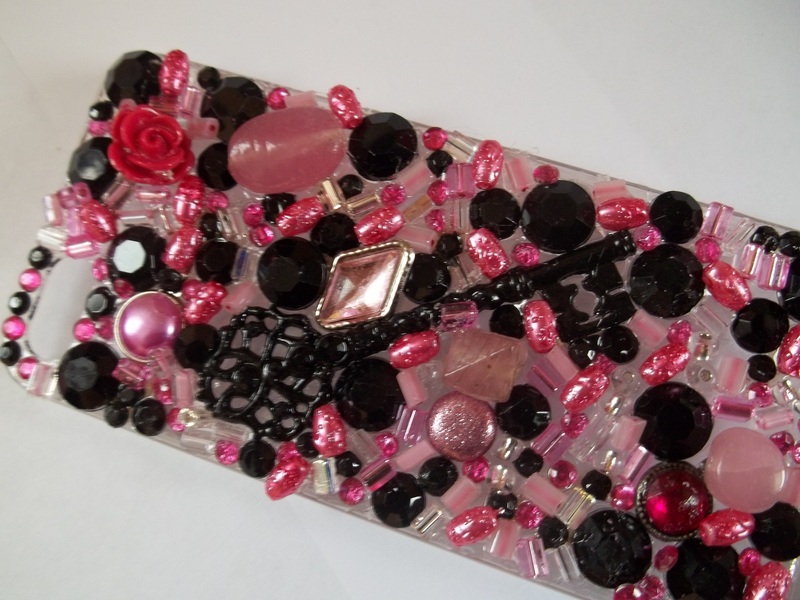 And you can have a beautiful phone case too…. Or I can just make one for you!!! 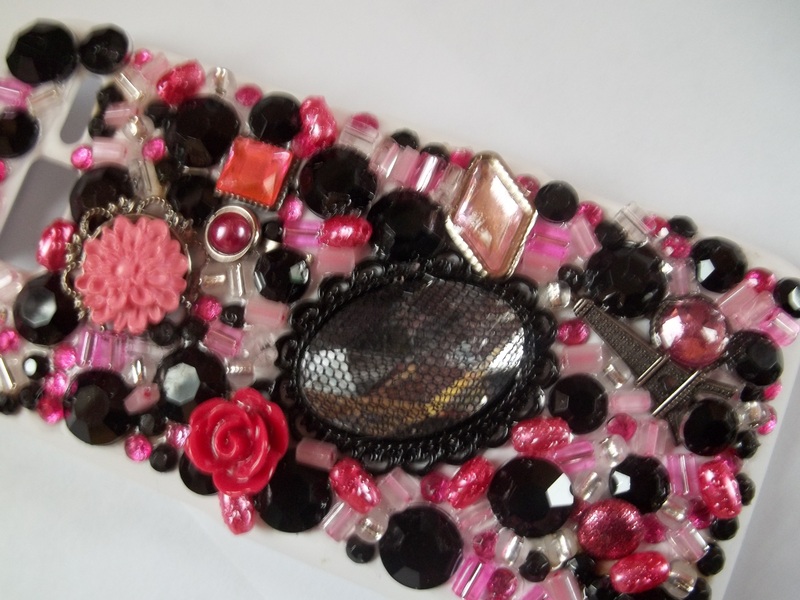 This entry was posted in Black Raven Creations, Handmade and tagged blackravenceations, blinged phone case, handmade, HTC EVO, phone case. Bookmark the permalink. Hi Rhonda its an excellent post if I had a cell phone I’d try one out for sure.It sounds like a great glue we sure could use it at work we have stuff that comes unglued all the time thats why handmade is so much better than store bought.Happy crafting! Love this post! I will have to give this a try! It is almost time for a new phone case for me! Hope you enjoy your new phone case as much as I enjoy mine! !